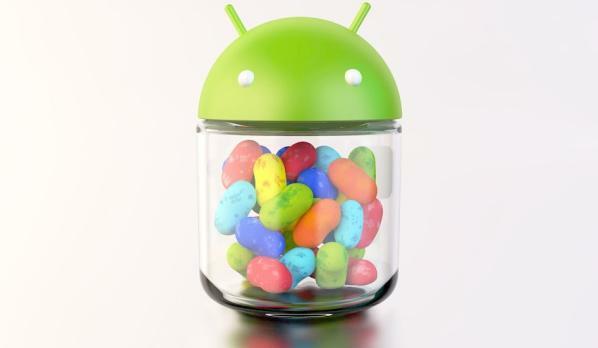 The team here on Phones Review like to keep you all up to date with all the news regarding software updates on the Android platform, and recently the availability of the Android 4.1 Jelly Bean update for the Samsung Galaxy S3 has been hitting the headlines. Now we can tell you that the software upgrade finally reaches the UK. Recently we told you of clams that Samsung promised to get the Jelly Bean update out to the Galaxy S3 in most regions by the end of this month, and true to their word this is beginning to happen as TechRadar are reporting that UK carrier Three has begun pushing out the software update to its customers. The company of unlimited data took to their Tweeter account to announce the availability of the new operating system, and the good news for owners is that it looks like the update is being pushed out via an over the air update, so there will be no need to connect your device to a PC and use the Samsung KIES application. To see if the update is ready for your handset you will have to first go into settings, and select the About device option, and then Software update to see if Android 4.1 is ready for you. There is no guarantee that the update will appear on your handset today though, as sometimes they can take a while to reach every handset. At the time of writing a friend who has the device on Three checked his device only to be met with disappointment, but it should come soon. A number of rival UK carriers were contacted about the availability of the software, but have so far not replied. This news comes as owners of the device in the US still have no timeframe for the update to land, with frustration growing daily, but the European region is now seeing the software availability spread out to a number of countries. Update: Rival UK carrier O2 has said on its community page that they will start releasing the update from tomorrow. Has your Galaxy S3 received the update yet? Strange it coming out first via carrier’s before sim free? I’ve got a three Samsung galaxy s3 in the UK and I haven’t got the update also I rang three and they said it has not been released yet! Mine doesn’t either; I think you connect it to Kies and a pop up window will come up telling you that there’s an update available. Update via Samsung Kies on a computer to receive the update. When doing it though the handset you will get a “queue” message. Updated mine this afternoon via kies. Access to software update service is provided to users in the order in which they request it try later. Is what I’m getting. I am in Spain and my sim free s3 was updated yesterday . I got the update two hours ago. What’s it supposed to do? tell me about it ive got the gt-i9300 sim free on 3 net 3 have updated 2 days ago 02 today vodaphone tomorrow but no sim free update. Unlocked phones are the easiest to update to new firmware. Also no bloatware or customisations need to be made by any phone carriers. So strangely we may be last to get any update. It makes sense? No! I bought a new Galaxy S3 from Orange today and the phone only came with 4.0.4. Just updated this morning at last..
wtf ‘ell is this imaginary update from three! it say try later and to request it?three is the worst provider i herd ov so far . i hope it not a crappy update like on my htc sensation to ics god that was a bloody joke!! lol is it actually goin to improve the phone in some way??? Seems Samsung do not care about the sim free phones one little bit maybe time to see about a class action suit and maybe they will take notice….And I for one will never get another samsung product and I mean never anything from them and I hope the rest of the sim free people feel the same…. Ok, what I don’t understand is that you are fundamentally thinking that ALL Samsung products are going to be awful simply because they haven’t brought out the Jelly Bean update for sim free Galaxy S3’s. Seems a tad immature. I for one LOVE Samsung products, and just because YOU don’t like the fact that they haven’t brought out that one specific update you deem it fit to tell EVERYONE that they shouldn’t get a Samsung product.